With over 22 years experience in fabricating joinery, skirting and architraves, our skilled craftsmen are able to create bespoke mouldings using our modern Weinig Powermat 500 moulder. 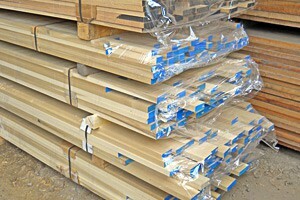 We are able to produce timber profiles up to 300mm wide and 200mm deep. From a small piece of joinery through to a door frame, we work with pieces of all sizes, for the domestic and trade markets, in Leicester and further afield. There is no job too small, and our craftsmen can even work with you to help match an existing wood – perfect for replacing damaged pieces. We are able to recreate almost any pattern / design in hardwood or softwood, that can be used for new or existing joinery works. We also retain all our moulds; so we can easily reproduce mouldings to designs and specifications at any point in the future. Contact us today on 0116 2312876 to discuss your requirements further. Our workshop is open Monday 8am – 5pm, Friday 8am – 4.30pm and Saturday 8am – 12pm. As suppliers of genuine timber wood floors of all sizes, finishes and qualities, Sunningdale Timber can produce wood floors in many different types of hardwood, including American White Oak, European Oak, and Walnut. For decking these also include Ipe, Balau and Garapa. 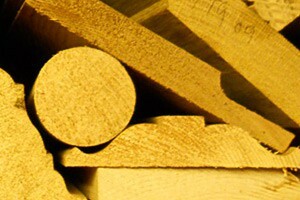 At Sunningdale we are able to match any existing specification in hardwood or softwood, including Victorian mouldings. This means we can produce skirting and architraves in many different styles and woods. Whether you need a moulding, wood floor or replacement skirting, Sunningdale Timber are your one stop solution for all timber requirements!